I'm watching internet updates literally scroll down my Google search page for "corey haim" right now. Any fan of 80's pop culture would want to know the breaking news. Eighties-era teen actor Corey Haim was found dead Wednesday in what is being termed an accidental overdose. See a photo journal by the Washington Post here. We all remember him from great movies like Lost Boys, Lucas, and Dream a Little Dream. Here's a video compilation of Corey Haim & childhood friend Corey Feldman. Read the USA Today write up here. Fox News has a slide show here. And MTV's write up and video tributes can be found here. 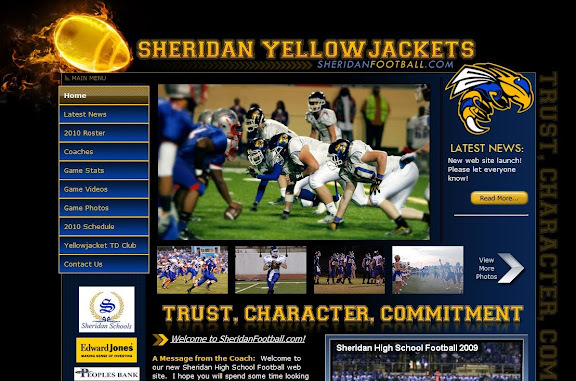 Be sure and check out the new website for Sheridan Football. Just go to sheridanfootball.com where you'll find this year's schedule, photos, videos, info on the new coach and much more!